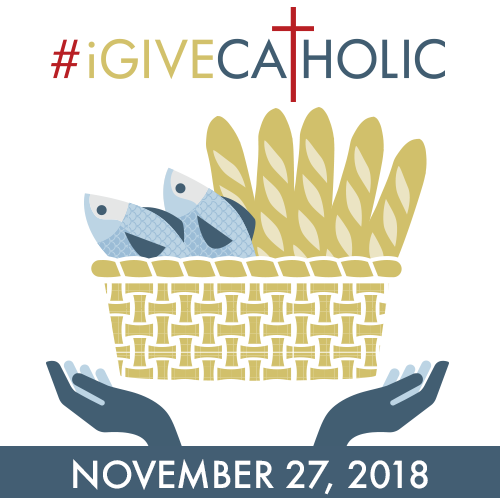 #iGiveCatholic 2018 includes the Archdiocese for the Military Services, USA; Archdiocese of Atlanta; Archdiocese of Cincinnati; Archdiocese of Kansas City in Kansas; Archdiocese of Mobile; Archdiocese of New Orleans; Archdiocese of Santa Fe; Diocese of Austin; Diocese of Baton Rouge; Diocese of Biloxi; Diocese of Boise; Catholic Community Foundation, Diocese of Cleveland; Diocese of Columbus; Diocese of Helena; Diocese of Houma-Thibodaux; Diocese of Jackson; Diocese of Juneau; Diocese of Knoxville; Diocese of Lafayette; Diocese of Lexington; Diocese of Lubbock; Diocese of Marquette; Diocese of Memphis; Diocese of Paterson; Diocese of Salina; Diocese of San Angelo; Diocese of San Diego; Diocese of Shreveport; and Diocese of Springfield-Cape Girardeau. CAPTRUST is committed to Catholic investment programs. As the market leader working with Catholic institutions, we have developed a range of services to address the demands of faith-based institutions as they deal with: foundations; endowments; cemetery funds; deposit and loan funds; operating reserves; perpetual care funds; captive insurance programs; pension plans; and 401(k) and 403(b) plans.